Attorney Mark Martella, Esq. 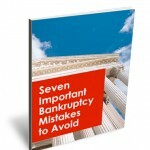 posts weekly articles on Bankruptcy, Foreclosure, Chapter 7, Chapter 13, Real Estate, Title Insurance and Association Law. Who our clients enjoyed working with at Martella Law Firm. Short Sale, Foreclosure or Bankruptcy: Which is Best for my Credit Score? Gators, Harley’s and Chocolate: What a Day! Spotlight: Celebrating 25 Years of Helping Those in Need! Small Business, Success Boot Camp – Great Way to Start the New Year! Video: What are My Options after a Foreclosure Complaint? 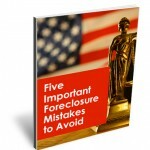 Video: Served with a Foreclosure Complaint?